To enjoy a fun night on the town with friends and family, there are many venues in Raleigh that can be enjoyed. There are many restaurants and clubs available in the city to provide amazing facilities so that you can have a wonderful time! Some of these venues include Mosaic Wine Lounge, Neptune's Parlour, Still Life, and Coglin's. One cool way to enhance your evening with your friends on the town is to hire a reliable and stylish limousine service company in Raleigh. Raleigh Limousine and Party Bus Rentals provides high quality vehicle services in Raleigh, as well as in several other surrounding locations. Our company provides excellent ground transportation services in terms of limousines, party buses and luxury vehicles. We have several different vehicles that our clients may choose according to the number of passengers that can fit in a single car. We present top of the line accommodations so that our clients have an excellent traveling experience in our limos. If there are many passengers, it may be beneficial to hire a party bus that has enough space for more than ten individuals (up to 56 persons). Our transportation service ensures comfort and relaxation to the passengers. Our car services were designed to keep in context the current needs and preferences of our customers. For enjoying this free time with your friends, it is important to make an elaborate party plan. In this plan, identify the new places in Raleigh that you may like to explore. There are many places like Farotage Lounge that offers exquisite dancing parties that you can be a part of. There is Loafer’s Beach Club as well, if a classy and stylish party is where you want to go to have a good time with your friends. Our drivers can take you to all these places at the time that has been assigned. All our clients need to do is specify the details of their plan in advance so that we can follow your traveling schedule accordingly. Many individuals think that Raleigh limo services are reserved for the elite due to the higher cost of hiring these car services. Our company provides limousine and party bus rentals at affordable prices so that our clients can manage their budget limitations easily while reserving our services with ease. Our services are cost effective and top of the line. Our drivers are also professionally licensed and qualified to get our clients to their destinations, as well as treat our clients with the utmost class and respect they deserve. 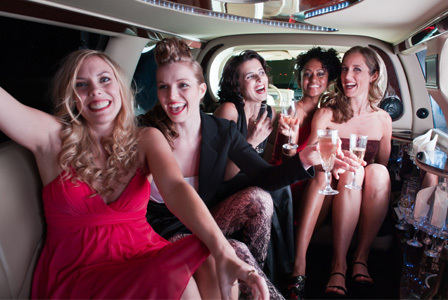 At Raleigh Prom Limousine and Party Bus Rentals, our service team can help our clients find fun activities to make their night on the town even more interesting and fun! We can help in arranging simultaneous activities like visits to popular restaurants in Downtown Raleigh. There are many restaurants, cafes and clubs in Raleigh that our drivers can take party guests to, like Second Empire Restaurant & Tavern or The Architect Bar & Social House. Our rates are market competitive and a quote can be given quickly. Just fill out the form on this page in the top right corner to get a suitable quote that fits your needs. You can fill out the form for a prompt return call or contact us directly for more detailed information on how to rent the best limousine or party bus for your night on the town! complete the form or give us a call to book your limo or party bus for your epic night!